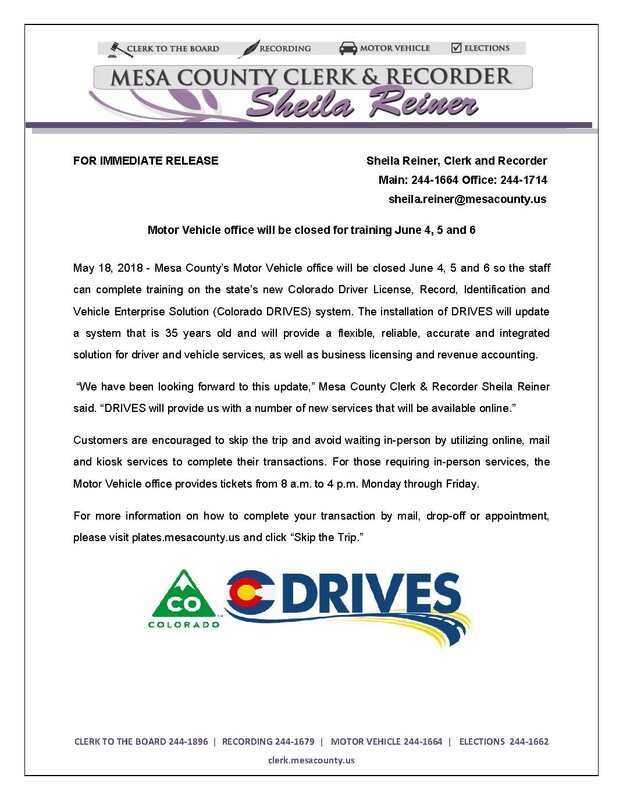 Mesa County’s Motor Vehicle office will be closed June 4, 5 and 6 so the staff can complete training on the state’s new Colorado Driver License, Record, Identification and Vehicle Enterprise Solution (Colorado DRIVES) system. The installation of DRIVES will update a system that is 35 years old and will provide a flexible, reliable, accurate and integrated solution for driver and vehicle services, as well as business licensing and revenue accounting. Customers are encouraged to skip the trip and avoid waiting in-person by utilizing online, mail and kiosk services to complete their transactions. 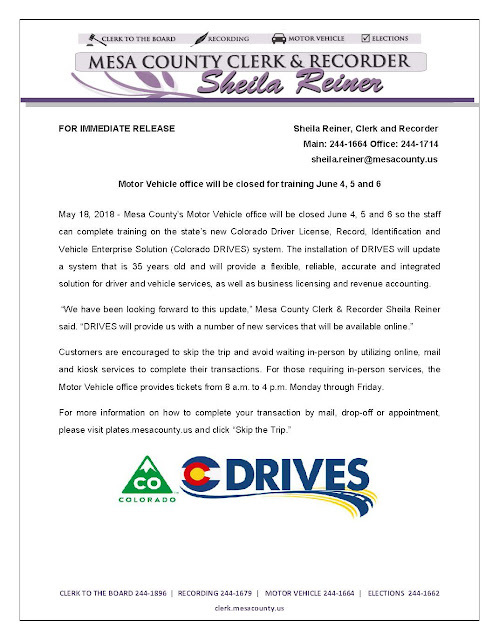 For those requiring in-person services, the Motor Vehicle office provides tickets from 8 a.m. to 4 p.m. Monday through Friday.